Marainthirunthe Paarkum Marmam Enna (What is the mystery behind watching me in secret?) is a grim story rooted in reality. It looks to shine the light on the dangerous menace of chainsnatching that has only continued to grow with time. In fact, the team couldn’t have come up with a more suitable title for a crime story. The director’s narrative about a family man act out as a crooked with the group, reeks their activities and spy out towards a cop. Initially, the scenes have been portrayed about the chain snatcher lifestyle and how do they work out and in what systematic way the steps will be proceedings had been projected. In this situation, the chain snatching gang, planned to rob commissioner’s wife jewellery and now the situation goes to a high peak. The commissioner appoint for a special officer to investigate with this issue, Dhruvva was getting as a loophole in the investigation that he had screened on a short film, the girl Kalpana who trust on Dhruvva, now started to detest by her and the inspector explicates about his missed life of Dhruvva. The innocent guy, works in a gas agency and lives with his mother Saranya. The Dhruvva’s mother even ingenuous character that she looks a bride for her son. A show anchor was getting admired by Saranya and they go for the proposal and Dhruvva’s married life moves in a beautiful way. 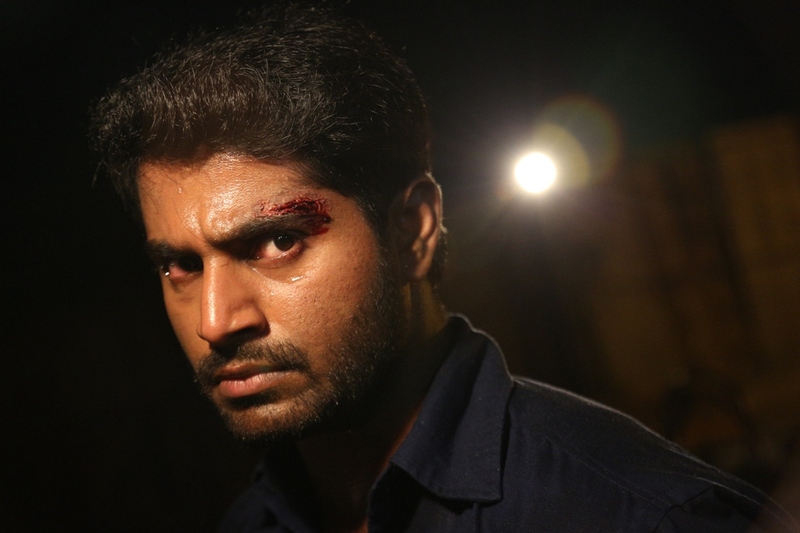 Jeeva (Ramachandran Durairaj), is planning to rob and at that time Dhruvva’s wife was killed in a wretched condition. The robber’s head Mime Gopi suspect on Dhruvva and understand the plan of Dhruvva and that he is a spy to the police department. Finally, Jeeva was getting brutalized or he had been sent towards the prison by Dhruvva. The film is an evidence of happening in the current affairs and words is being exposed on screen. A lady moves around at midnight on wearing jewellery that is their freedom. Now a days, even in a daytime not able to move with jewellery. The team tested out with an old issue. In the mother eccentric Saranya had tackled the screenplay by her acting. The hero gives his smartness both in outlook and performance. The film starts with a distinctive scenario and ends up with revenge and given in a message.